« Despite Earlier Concerns, May Car Sales Could be Best in Five Years. McBlog: Fiat Delivers a slap in the face. Supermodel Catinel Menghia poses with a Fiat 500 Abarth. 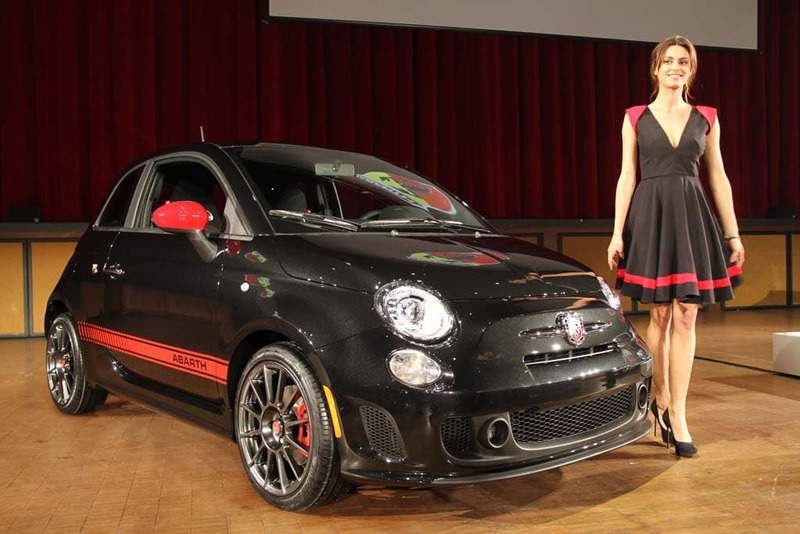 She can slap us any day, but why is Fiat punching out its customers? asks McBlog author Denise McCluggage. Fiat had better pay attention to this. Here was a guy dead-cert he wanted a Fiat Abarth – no need to sell him on a small Italian car returning to a market where it left the rubble of a less-than-stellar reputation. Doug was pre-primed and hot to foxtrot. Money. And way more than enough to make his decision a no-brainer. Never mind the dance. One after another Chrysler/Fiat dealer said to him when he called about acquiring a Fiat Abarth. : “You don’t want to lease,” “We don’t do leases,” or “We don’t have the software for leasing.” The dealerships that did lease offered a 42-month (3½ year) lease rather than the more traditional 36 month (3-year). That helped mask the uncommonly high money factor and made comparisons more difficult for the average math-challenged buyer. Now the critical differences appear. First, the money factor. The money factor is an arcane way of expressing the interest rate and arriving at the monthly payment. It’s the way car dealers do it. The smaller the money factor the less you’ll owe each month. This figuring also involves the all-important residual value. The residual value (a.k.a retained value, or resale value) is what the car is guaranteed to be worth at the end of the lease. It’s written in ink and signed. The sum of the residual value and the agreed-on price of the car less trade-ins etc is multiplied by the money factor and, voila – the monthly payment. The money factor for the Fiat was .00294. For the VW Golf, .00015. And what monthly payment does all that come to? Fred showed the figures writ Sharpee large. The Fiat Abarth would cost $569 a month for 42 months; the VW Golf GTI, $299 for 36 months. That was the slap in Doug’s face. The Golf was $270 a month less, nearly half. And buying a GTI certainly didn’t mean “settling” for anything. The VW is a dandy car. Doug is a twice happy man. And yes there is. But not much. It means somehow making up that $270. Harder to do without an in-house financing company which Chrysler does not have. Chrysler might get a bank to raise the residual value to, say, 59% with the agreement that if resale value fell short they would make up the difference. It is not an unknown ploy when a car needs a boost in reputation or sales. 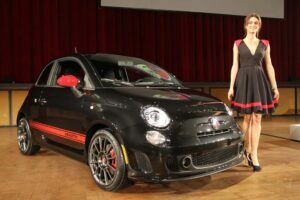 But maybe Chrysler thinks that the Fiat Abarth’s charm will induce early adopters to step up to the window with money in hand and no consultant in tow. However Chrysler works with Ally Financial and Chase Auto Finance. The later particularly is known to have been part of Subaru’s creative promotions, specials, rate reductions, delayed first payments and residual values st high. Interestingly on May 22 Chrysler did announce a program (good to the end of the month) that would delay first payment for three months on any new 2012 Chrysler, Jeep, Ram and Fiat models. This entry was posted on Tuesday, May 29th, 2012 at and is filed under Automobiles. You can follow any responses to this entry through the RSS 2.0 feed. Both comments and pings are currently closed.